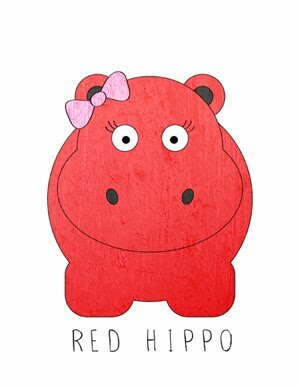 Red Hippo: gifts for babies??? Last year, for his first Christmas we didn't get him anything. Yes, you read that right. Not one thing. He was so set up by all of our family and friends with clothes, rattles, swings, etc. that he really didn't NEED or WANT anything (being three months old, and all). So we opted out of a first Christmas gift. This year, he is a little older and does seem to have preferences. His preferences are three-fold: exploring outside, opening and closing drawers and doors, and HATS. My baby LOVES hats. 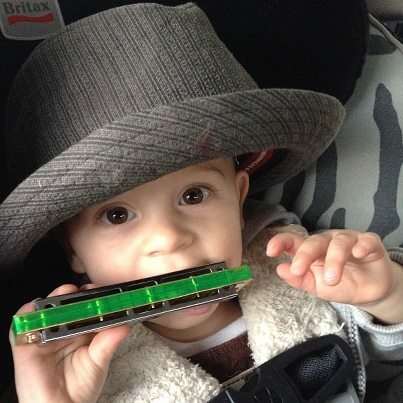 He walks around the house holding them, wearing them, and happily exclaiming "HAT" everywhere he goes. He has to hold on to one every time he gets into his carseat (we affectionately named his car hat, "car-seat hat." So, for Christmas this year we have decided to get him two things. A baby coat rack where he can hang his hats and baby moccasins, so he can explore nature with his feet protected (and looking adorable). My mom is getting him the hat rack and I bought the moccasins last night, which means......Easton's gifts are complete!! HOORAY! What is your experience with gifts for little ones? Do you go crazy or keep it SIMPLE??? I 100% agree with you! Overdoing christmas is a big no no in my house. Like Easton, my children get spoiled by everyone else so we dont see the need to go crazy. i want my kids to know that christmas isnt about gifts. Even if it isnt about religion to some people, its about more than Santa. its about spending time with family and friends, creating traditions, relaxing and enjoying the simple things. We focus more of out time and money on doing family events. we drive around to look at lights, go to the amusment park for the holiday decorations and rides, go outdoor ice skating and drink hot chocolate. This year we are opting out of getting Sofia gifts, shes 4 months, all she wants is mommas milk!